A four-CD box set of 60 tracks, most of them previously holed up in the vaults, from Tom Petty and the Heartbreakers will be released on 9/28 by Reprise. 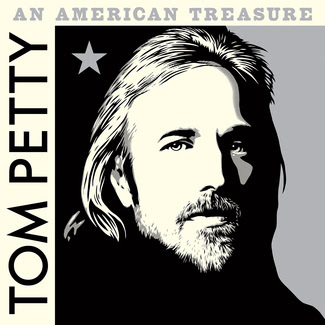 An American Treasure will contain unreleased studio recordings, live recordings, a few album tracks and alternate versions of popular Petty songs. Included are unreleased tracks from the pre-Heartbreakers band Mudcrutch and sessions for Long After Dark, Southern Accents, Echo, Wildflowers and Hypnotic Eye. SiriusXM broadcast one of the unreleased songs, 1982’s “Keep a Little Soul,” when the announcement was first made. Tom’s daughter, Adria Petty, and his wife, Dana Petty, were the primary catalysts for the commission, creation and release of An American Treasure­. The two, with Heartbreakers Mike Campbell and Benmont Tench, and Petty’s studio collaborator, Ryan Ulyate, curated the box set’s track list from Petty’s catalog. Campbell, Tench and Ulyate also produced An American Treasure. HITS VP/Senior Editor Bud Scoppa, who drew upon his previous interviews with Tom and new conversations with Campbell, Tench and Ulyate, as well as Adria and Dana Petty, wrote the track-by-track liner notes. The configurations are: the Deluxe Edition with a 52-page booklet; a Super Deluxe Limited Edition with an 84-page hardbound book; Vinyl Edition, a six-LP set that features all 60 tracks and a 48-page booklet; and a two-CD Standard Edition with 26 tracks.